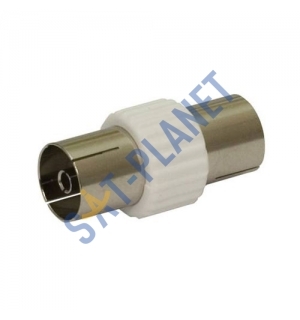 This Coaxial Joiner is essential component for all Satellite dishes and Aerials installations. It used to join 2 cables with coaxial plugs or as an adaptor to convert a coaxial male into female output.These enabling the cable to be extended or joined with low signal loss and to be capable to carry a DC power signal. These joiners are very easy and quick to install and no special tools are needed.